Our 3-year MFA in Interdisciplinary Media Arts uniquely integrates contemporary artistic practice with studies in media production, history and theory. Students in this terminal degree program spend a first year exploring interdisciplinary approaches to making media as an artistic practice while becoming familiar with the contemporary media art landscape. First year is for experimentation and risk-taking in storytelling and aesthetic expression, as part of building a critical understanding of art and media in a social context. Classes with faculty in film criticism and history, media theory, social justice, race, and the political economy of media offer a solid academic grounding. Second year students hone in on a self identified area of focus. In this they are supported with studio spaces and individualized mentorship relationships with MFA faculty in documentary, experimental and narrative film/video, photography, sound art, video art, animation, interactivity, programming, performance and installation. Third year candidates concentrate on developing an ambitious body of unique creative work and a written thesis that situates their contribution to the field. Beyond studio and classroom, students exhibit and screen their works in a student gallery, the University Museum, and local contemporary art venues. Our program also offers special experiences like such as the chance to run an international film festival (The 40-year old Big Muddy Fest), and develop local programming. An annual graduate symposium and media workshops offer additional opportunities for expanding your professional skills. If this program sounds like what you have been looking for, we would like to meet you! You can contact us for more information about the program, or begin your application now. The minimum 60 credit degree requires a common core, electives and 6 credit Final Creative Thesis. Select 27 credits from either inside or outside of the college. No more than 9 credits can be taken at the 400-level. We only accept applications for this degree for Fall admission. We will open our fall 2019 admissions process on October 16, 2018 and will accept applications through January 15, 2019. Three Statements: Personal, Biographical, Research and Creative interests. Applicants must answer the following questions in the Research/Creative Arts Statement: Are you a media arts practitioner and if so, what forms of media have you been working in? What aspects of the media arts would you explore if you were admitted to the Interdisciplinary MFA Program in MCMA? What compels you to create artistic works that utilize forms of media? Please elaborate on any personal connections you may have regarding themes or ideas that you feel are central (or emergent) to your work(s). Please describe any artists (regardless genre or medium) whose work you admire or has influenced you. How is your work situated into contemporary media arts practice? Please include any relevant theoretical, historical or aesthetic practices you feel might apply. Portfolio of works in at least one media. DVD or URL preferred. A .doc or pdf file with URL for web portfolios can be uploaded. Otherwise discs can be sent via post. Any other application materials including transcripts and media portfolios on disc should be sent via post. 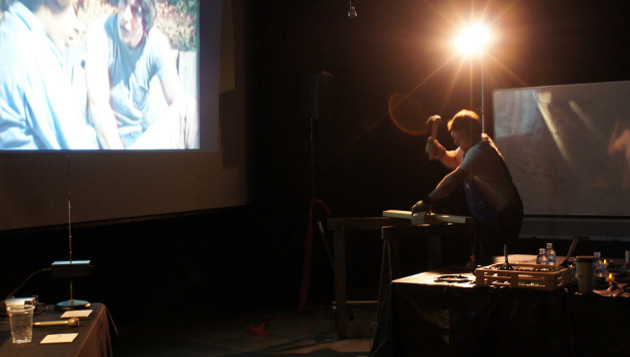 The MFA is a degree for students who wish to develop a lifelong, unique media arts practice. A strong interest in contemporary media art is necessary for all applicants. If you are seeking a degree focusing on production of media for professional careers, please visit our MS page.